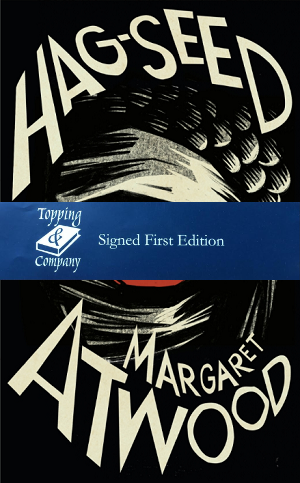 We were lucky enough to have a personal visit from Margaret Atwood who signed in our bookshop in October 2016, following an extremely successful event with Topping and Company Booksellers in Bath. Hag-Seed is the latest instalment of the Hogarth Shakespeare Project. Atwood’s retelling of The Tempest is an enchanting and thrilling addition to this exclusive series of re imagined Shakespearean tales.